Come and enjoy the Vic-Maui pre-start activities in Victoria, the Capital City of British Columbia and one of the most beautiful harbours in the world. Moorage is available to Vic-Maui competitor, official, sponsor, and designated spectator boats. Vic-Maui fleet moorage will be at the Wharf Street Marina adjacent to the Seaplane Terminal in Victoria's Inner Harbour. Officially, moorage reservations are from noon to noon. We will do our best to accommodate arrivals earlier than noon. Shore power will be available and may need to be shared. Water will be available. Rafting may be required. Moorage with the Vic-Maui fleet is available from noon on Thursday June 28 to noon on Sunday July 1. All moorage within these dates should be booked through Vic-Maui (i.e. here) in order to be moored in the section of the Wharf Street Marina that is reserved for the Vic-Maui fleet and to take advantage of Vic-Maui rates. If you are planning to arrive earlier than Thursday June 28 or depart later than noon on Sunday July 1, you should make one booking with Vic-Maui for the June 28 to July 1 portion of your stay, and a second booking directly with the Greater Victoria Harbour Authority (GVHA) for the extended portion(s) of your stay. Please note that bookings made directly with the GVHA will be at the applicable GVHA rate and may be in a different area of the Wharf Street Marina, or in another GVHA marina. 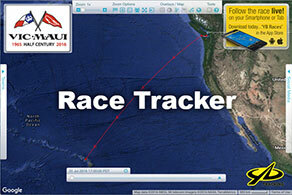 Vic-Maui will automatically book competitor boats into this moorage system, and send you a confirmation by email. Competitor boats do not need to make their own moorage reservation for noon Thursday June 28 to noon Sunday July 1. If you plan to arrive in Victoria earlier than Thursday June 28, then you will need to make a separate moorage reservation through the GVHA for the additional dates. Be careful not to double-book the noon June 28 to noon July 1 moorage that Vic-Maui is already providing. Designated spectator boats should plan to arrive on Thursday June 28 and depart by noon on Sunday July 1. If you plan to arrive in Victoria earlier than Thursday June 28, or stay later than noon on Sunday July 1, then you will need to make a separate moorage reservation through the GVHA for the additional dates. Be careful not to double-book the noon June 28 to noon July 1 moorage that you are booking through Vic-Maui. Official Boats should contact rvyc-chair@vic-maui.org to make moorage arrangements. Early-bird moorage pricing is in effect until June 14. Vic-Maui moorage bookings are non-cancellable and non-refundable. If you have any questions, please contact moorage@vicmaui.org.